Microsoft defines computer viruses as small software programs that are designed to spread from one computer to another and to interfere with computer operation. When Microsoft says “interfere with computer operation” they mean erase data, steal information, decrease productivity and basically ruin your day, well then we tend to agree with them. When it comes to protecting the data on your computer, there are certain rules you should really follow. However, no matter how careful you are when surfing the internet and opening files, you can still expose yourself to some really bad computer viruses. Opening files that are emailed to you from unknown individuals is a very common way to get a virus. If you do think your computer has a virus, don’t wait to get it fixed. The virus could be collecting important data off your computer and/or sending out emails to everyone in your contact list. 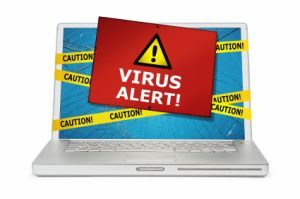 Running a virus scans on your machine can often eliminate some of the smaller viruses but some of the larger, more ruthless viruses require a lot more attention knowledge of a computers operating system. If you think you have a virus bring your computer down to Compunet right away and have one of our trained professionals clean up your machine and getting it operating efficiently. In the meantime, by following some simple steps you can reduce your vulnerability to a virus. Here are some great tips to follow. Never click on a link or attachment in an email that you are not positive is from a trusted source. If you think the e-mail looks suspicious, it probably is. It never hurts to send an email to verify that this is legitimate. Be wary of files with a double extension such as .txt.vb or .jpg.exe. As a default setting, Windows often hides common file extensions, meaning that a program like Paint.exe will appear to you as simply Paint. Double extensions exploit this by hiding the second, dangerous extension and reassuring you with the first, safe extension – which is utterly meaningless to your computer; your system only recognizes the extension to the extreme right and run the file as such. If a common file type whose extension you never normally see suddenly becomes visible for no apparent reason, right-click on it, select Properties, and look for the complete file name. You may be surprised to find out what kind of extension it really has. Use USB drives with caution. Plugging someone else’s USB drive into your computer (or plugging your own into a computer at, say, an internet café) can spread an infection via the drive itself, not the file you’re actually trying to share. Whenever possible, transfer files between machines via email to keep potentially-infected hardware out of the equation. Beware of internet pop-ups. This may seem obvious, but the real danger is that some pop-ups are designed to look like they’ve originated from your computer. If you see a pop-up that looks like Windows (or another trusted program’s) anti-virus software but warns you of a problem that need to be fixed with an extreme level of urgency, it may be a scam. (To be sure, simply close the warning, then open that anti-virus software from your computer to see if the warning is still mentioned.) Other programs report false errors and then offer to fix them if you purchase their software. If you see a new type of anti-virus pop-up that you have not seen before, or if it appears to be from an anti-virus program that you did not install, it is fake. Close the pop up, update your anti-virus program, and run a full scan. Many of these browser-related apps keep temporary files on your computer and can store a virus there. To keep this risk low, make sure you clear your browser’s cache regularly. Beware of unusual emails from companies you do business with. If you receive an email from a company that you otherwise trust requesting information or recommending that you run a particular file, log into your account on that company’s page and see if there’s a notification there as well. Some scammers will get your trust by copying legitimate businesses’ email styles and using a similar-sounding reply-to address to lower your guard. Note that good businesses will never request sensitive information via email, which is one of the least secure ways of communicating. Install an anti-virus program. Paid versions include NOD 32, Norton, McAfee, F-Secure, and Sophos. Free versions include AVG, Avast, Comodo, BitDefender, and Avira AntiVir. Make sure you keep your virus definitions updated and run a full system scan weekly. Note: just like anything in this world, you get what you pay for. To get a truly reliable anti-virus program, you need to pay for it. Compunet recommends NOD32 from ESET. Install an anti-spyware program. Ad Aware SE, Windows Defender, Malwarebytes, and Spybot Search and Destroy operate against internet malware and spyware that anti-virus programs overlook. Just like anti-virus software, keep it updated and do a full system scan weekly. Use a firewall. Either make sure your Windows Firewall is turned on (run a search for Windows Security Center on your computer to configure) or install a trustworthy firewall program to help block unwanted internet traffic. Note that you should not run two firewalls at the same time, as this will cause errors and can actually make your computer more vulnerable. If you’ve purchased or downloaded another firewall, make sure to disable Windows Firewall. Set up your Windows Update to automatically download patches and upgrades. This will allow your computer to automatically download any updates to both Windows and Internet Explorer. These updates fix security problems and block many spyware programs and viruses. Note that viruses sometimes piggyback onto trusted updates to infect your computer; however, this is much more typical of outdated updates, as they are less closely monitored. Therefore, it’s best to keep your updates as current as possible. Consider switching to a different web browser. Some web browsers are more customizable than others, allowing you more control over pop-ups, ads, tracking, and other concerns that all of us face on the internet. Firefox, for example, has a large array of privacy- and security-related add-ons that will allow you to reclaim control over your web experience. Google it. When in doubt about an email, file, warning, email address, advertisement, or anything else that seems suspect, do an online search to see what other people are saying. Throw in the word “scam” to weed out results that may have been placed there by the very people who are trying to cheat you. Previous Previous post: So what is this Hopper thing from DISH Network?